Dr. Kauffman has been in the trenches, fighting for vulnerable, elderly patients for decades. To say that she sees the need for caring for the weak and underserved in a gross understatement of the very real burden she carries. She explains in The New York Times, “Sometimes I lay in bed and think about how I can make this a national service. I think everybody should have some person in their area that could come out for emergencies. Just like there are house-call physicians, there need to be house-call dentists. That’s my dream, and I’m working on it.” She’s been working on it for a while now. Why House Call Dental Consulting? Dr. Kauffman founded her geriatric house call dental consulting business because there is an overwhelming need for adequate care for the rapidly growing demographic of homebound elderly patients. A solution has to be found. Fast. This vulnerable, aging community has been despairingly deprived of their voice. Most of her patients have some form of dementia or Alzheimer’s and live in nursing homes. They no longer have their faculties about them in a compromised state of health. Dr. Kauffman has heard their muted cries and has come up with a plan to provide them with superior care. One key factor is missing–You! She is searching for dentists who are retired or looking for a side practice who can become geriatric house call dentists to this underserved population. This incredible opportunity offers flexible hours and an additional stream of income, not to mention the tremendously fulfilling reward of knowing you’re making a difference in the lives of those who can’t fend for themselves. We wouldn’t go so far as to call you a superhero, but to your patients and their families, you may just come about as close to a real-life hero as you can get! 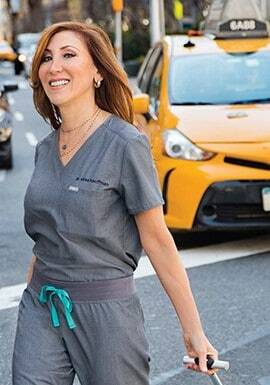 Dr. Kauffman’s house call dental consulting practice is her way of championing heroes. If you feel as though this kind of opportunity is right for you, now is the perfect time to take the first step. Dr. Kauffman will walk with you every step of the way on this journey. There are so many vulnerable patients who need their voice to be heard. If you are driven to answer their call, fill out this form. Having someone by your side, advocating for you while you advocate for others is monumental. You can make a marked difference in the world of someone who hasn’t been able to see the world in a while. Dr. Kauffman would be honored to walk alongside you and have you on her team.